The Church of the Nazarene continues to partner with other churches and denominations to help train ministers. In some countries the persecution of Christians makes it difficult for pastors or believers to receive theological education. 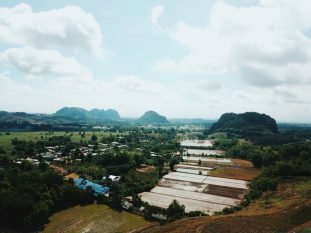 To address this challenge Southeast Asia Nazarene Bible College (SEANBC) has developed a series of video lectures that can be played on a smart TV, without the need for internet access. These useful videos cover the whole course of study for a minister in the Church of the Nazarene and can be used by Christians from other traditions as well. In November 2018 SEANBC leaders met with the leaders of another denomination in a country with widespread persecution of Christians. These leaders were interested in using these videos to help train their own pastors. They also provided our leaders with a qualified translator and others who could help with local language translations and video production. As we continue to develop these relationships, we ask for prayer that we will be able to work with the right people in this country, that translations continue smoothly, and for the favor of the local government.